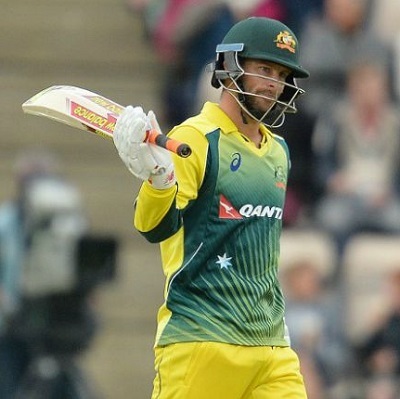 Australia took off brilliantly in the One Day International series against England by winning the 1st game comfortably and will anticipate continuing its form. ka baat hei bhaiya ji pehli baar aise dil khol ke prediction diya hei aapne. 1st match ke to khub maal kamaya bhai. Le lo profit. PASS ho gaya tips. 10 minutes ke andar 10 ka profit mil gaya. Geen up ker lo. Ek aur Jackpot profit. Fir se lagawo yeh strategy aur wait karo next jackpot ka. Le lo bhai log yeh tips bhi PASS 10 minutes me £1000 ka risk free profit aa geya. Bhai first inning u advised to lay aust how can we back at this rate. Weather forecast - some light rain in morning tomorrow but nothing serious to cause any disruptions to the match. As predicted it's drizzle here a bit, it should clear soon. Bhai lunch favorite k odds 42/45 hain..what should we do? ?should we lay lunch favorite? Bhai moderation itna late kyu? Audtralia 295-299 what should we do??not? Ok bhai..Wht do u think if england bat first then cant they thrash 250?? 49 overs ka match hei. bhai any chance of jackpot? It's Lord's so we can expect swing. bhai baarish se aapki strartgey mein change aayega??? Bhai 78 odds hai!! Abhi bhi khaye? ?Ya abhi laga k aur baad mein lay kar le?? Le ghus gaya ek aur jaisa prediction diya abhi. Hedge ker lo ab, Sikkim sarkar ki Saturday wali lottery aa gayi. Ek aur ghusega jaldi hi fir Maharastra sarkar ki Mahalaxmi lottery wala jackpot aayega. Bhai what 2 do now? Can come provided no wicket falls. Fall of wicket will send odds rocket high. Or if we get 20+ runs in one over then it can touch 2.5. 2 will not touch in the first half. Odds of 2 means it's 50-50 game which can happen only when England has wickets and at par runs to score. If no wicket falls till half of innings and they have 130+ then odds can touch 2. Bhai australia 60 pe 50k lay kiya hai? ?kya karu? ?aur lay karu?? Lo aa gaya 65 greenup kar lo sab ke sab ab aur maal le ke bhago. That was for those who layed Aus at 65. Whoever had followed my tips since beginning must be in massive profit. I'm £5k greenup on both sides. Now milking more money. Lo fir se touch ho gaya 65 Betfair (Click here to open account and get £25 FREE) pe. Bhai what can be done now at this stage. Oh boy I love this match. Kamdhenu ke mafik milking ho rehi hei. It touched 75 on BF I hope you all made profit. 1 wicket down as I predicted so those who followed my 2nd innings tips also made profit. Tx Munna Bhai for all support, I followed your tips as you said. I was a bit scared when Australia were favourite but I trusted your tips and finally I'm in Rs. 50k profit on both sides. I'm still following your 2nd innings tips and will make Rs. 75k then I'll quit. Aa bhi sakti hei, jua khel rahe to lagne wali hei. 2 ke neeche tough hei. Wicket na gire to aa jayegi, wicket girta rahe to latke rah jawoge Trishanku ki terah. tq paji aaj fir se malamaal weekly ho geya. bhai 45 pe kangaroos ko khaya aur 65 pe laga ke both sides me profit le liya. Aaj to chain ki neend aayegi. rs 25000 ka easy profit aaya. munna bhai aaj to bacha liya hume aapne mein bhi 65 walon me se hun. 1 peti se kha rekha tha Aus ko, bohot phat rehi thi aaj to. Aapke bharose bach gaya. 75 oe nikal liya profit. Tauba ab jua nehi khelunga aur aapki trading wali strategy follow karunga. Kutte ki punch kabhi seedhi hui hei kya? Fir se kheloge 65 wala jua. 2 saal se mein yahi dekh reha hun. Bolke thak gaya mein koi sunta hi nehi. Har match me 65 nehi lagta hei. Aur fir ek tarfa ho geya to phati rehti hei. Aise hi kabhi jhatka lag jayega heart ko fir ram naam satya.